​Oh, my! E! 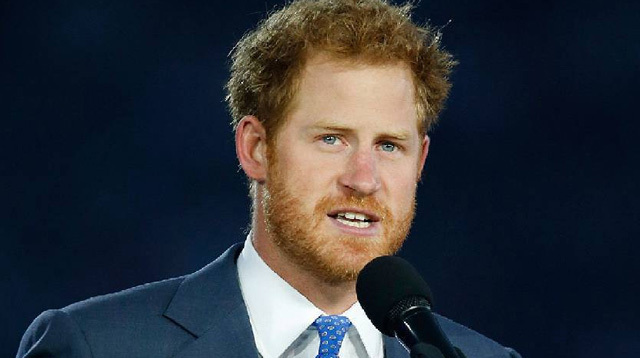 Online reports that Prince Harry was spotted partying at his 31st birthday bash with ex-girlfriend, Cressida Bonas. Well, this is certainly a surprise! The two have shared a roller coaster romance—from an alleged almost engagement in early April of 2014 to a breakup in late April of 2014, these two have been through it together. And if rumors/pictures are to be believed, the fat lady has not sung yet. (I need to have my vocal cords checked, first.) The handsome duo left Harry's 31st party at London's Cross Keys' nightclub at the same time. This is especially interesting as Harry seems to also be wooing his other ex, Chelsy Davy, as well. Oh, to be young and in love! With multiple hot blondes! However, with Cressida attending the birthday gathering, it appears she's perhaps won the race. As a source from the party shared, "Cressida seems to be in the lead now as she was at Harry's actual birthday party." Well, as they say in England, "nah, nah, nah, nah, nah, pip, pip, and all that pudding!" I don't know what I'm saying but basically, stay tuned to see which tall blonde girl the ginger prince ends up with.